Wanted!! Ge-ka! 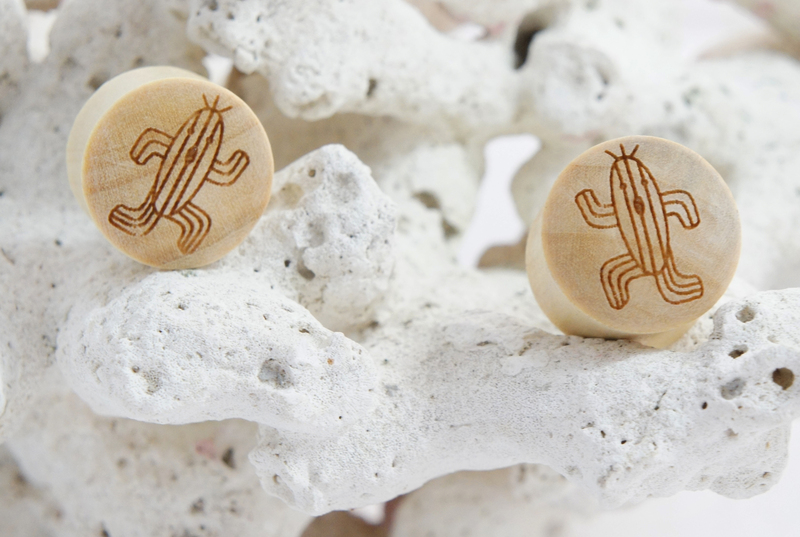 These charming but dangerous cactuar gauged earring plugs are carved from Crocodile wood. 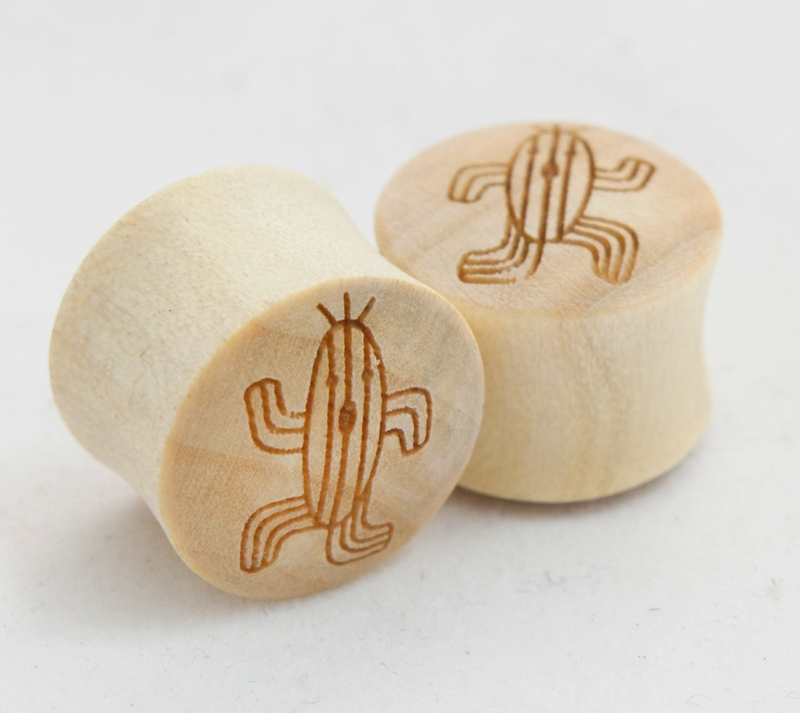 Whether you are a gamer, desert lover, or just can't get enough kawaii plugs, you will love these cactuar carved plugs. 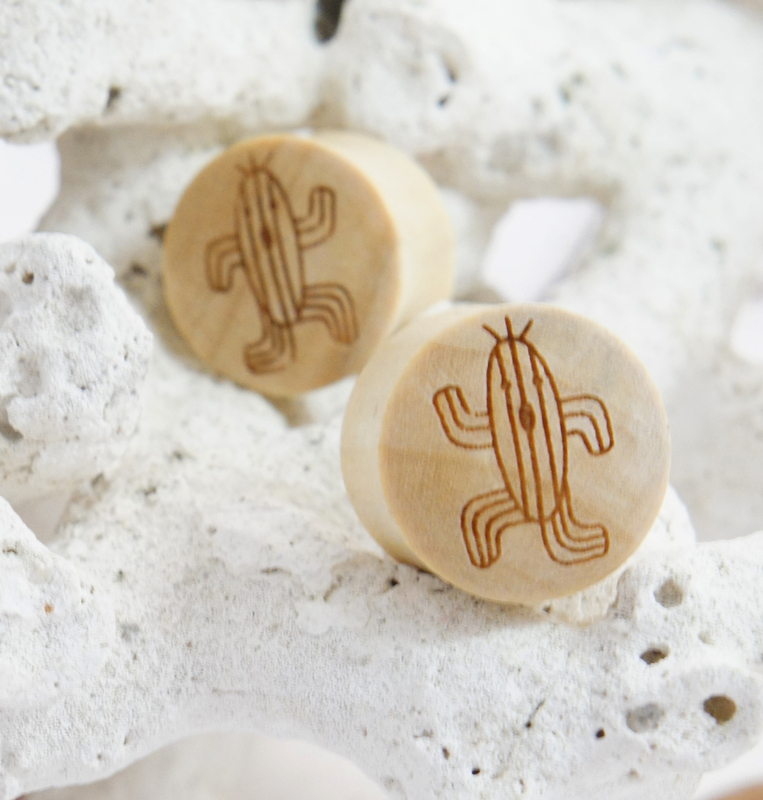 Cactuars can be very elusive but these are Sold as a pair, these traditional saddle gauges have the Moogle design on one side so you can still wear them to show off the delicate stripes of the crocodile wood. If you don't see your gauge size listed please feel free to contact us or check back later since we're constantly restocking or adding new sizes and styles to our line.